Pictured: Maki Onuki and Tamás Krizsa by Theo Kossenas | media4artists. Celebrating its 74th year as an organization, The Washington Ballet grew out of the success of The Washington School of Ballet, founded and directed for years by legendary dance pioneer Mary Day. The School opened in 1944 and the Company was established in 1976 with Ms. Day’s singular vision clearly illuminated: to create a stellar institution of teaching, creating, and enlightenment through dance. Artistic Director Julie Kent’s long-term vision is to elevate the prominence of the company as world-class ballet company in the nation’s capital by concurrently expanding the size of the company while broadening its repertoire. She has introduced into the repertoire seminal works by George Balanchine, Frederick Ashton, Jerome Robbins, Antony Tudor, Justin Peck and Alexei Ratmansky while embracing the work of emerging choreographers including Clifton Brown, Gemma Bond, and Ethan Stiefel, among others. Her commitment to the development of both the dancer and the art form is fulfilled through presentation of beloved classic 19th-century ballets and landmark 20th-century works while reaffirming a commitment to commissioned works that will contribute to the evolution of ballet and its relevance in our times. TWB’s three-part mission: ensuring excellence in its professional performance company; growing the next generation of dancers through its school, professional training programs, and Studio Company; and serving the community in which it resides through community engagement programs will continue to propel TWB to a more prominent place within the nation’s capital and beyond. In addition to being an iconic ballerina, Kent has the distinction as the longest-serving dancer at American Ballet Theatre, having danced with the company for 29 years. Her extensive roles encompass the breadth of the ballet repertoire and as a muse to choreographers who created works on her. Her continued devotion to serving the art form, to promoting arts education and to using her experience to nurture, train and develop the next generation of dancers are the tenets by which she will further elevate TWB and its Company, school and community engagement programs and initiatives. TWB and Day were pioneers of diversity in dance, nurturing dancers of varied backgrounds including Virginia Johnson, Artistic Director of Dance Theatre of Harlem. This tradition has continued in leading the dialogue and action in the larger dance community to incorporate dancers from diverse backgrounds into the Company. TWB has served as an exemplary company in welcoming dancers of color and their families through an integrated faculty and company. Towards this end, prior artistic director Septime Webre initiated activity for TWB@THEARC, community engagement programs housed at the Townhall Education Arts Recreation Campus (THEARC) in SE Washington, DC. The programs include The Washington School of Ballet’s Southeast Campus, the DanceDC program, and the EXCEL! Scholarship. These programs have served over 70,000 children and thousands of adults since their inception in 1999. Diversity in choreographers has been a fundamental tenet in the TWB artistic decisions to nurture and present choreographers with fresh interpretation of classical ballet repertoire while also presenting classical iconic choreographers and works. In a review of TWB repertoire, a combination of classics and exciting new works and themes is evident. to serve and involve the entire community through extensive dance education and community engagement programs. The Washington Ballet’s professional company consists of world class dancers forming an ensemble core with apprentices under the directorship of Julie Kent. Together they perform a wide variety of works from the classical choreography of Marius Petipa and George Balanchine to contemporary pieces by Christopher Wheeldon, Jiří Kylián, Hans van Manen, Twyla Tharp, and Mark Morris to new creations by Alexei Ratmansky and Justin Peck. Every year the professional and studio companies bring productions of the highest caliber to stages throughout the national capital area including Harman Center for the Arts at the Sidney Harman Hall, the John F. Kennedy Center for the Performing Arts, the Warner Theatre, and Town Hall Education Arts Recreation Campus (THEARC). Co-founded in 1944 by the late Mary Day and Lisa Gardiner, The Washington School of Ballet (TWSB) is recognized nationally and internationally for its classical training and dedication to excellence in dance and dance education. The school trains more than 700 students each year at its Northwest Campus studios on Wisconsin Avenue and an additional 350 students at its Southeast Campus housed at The Town Hall Education, Arts and Recreation Center (THEARC) also known as TWSB SE. The Joseph C. Coleman Studios at Cathedral Commons serves as an additional NW campus for approximately 180 students. The Washington Ballet values the community in which it resides and endeavors to serve the region through extensive education, audience enrichment and engagement programs. TWB has a special focus on influencing the lives of children through its signature in-school program DanceDC, which serves young people across the District of Columbia. TWB also maintains a scholarship program for talented and dedicated dancers identified through DanceDC. The EXCEL! scholarship allows DC youth the opportunity to study dance at The Washington School of Ballet at either the NW campus or SE campus. The Washington School of Ballet also provides adult ballet classes at the NW and SE campuses (Adult Classes). Throughout its 74 year history, The Washington Ballet has steadily progressed as a major force in the dance world and in its community. Important benchmarks, accomplishments, and milestones have contributed to The Washington Ballet of today. Mary Day and her mentor Lisa Gardiner establish The Washington School of Ballet in 1944. In the 1950s, a pre-professional group of dancers train at the School and join together to perform around Washington, DC with the National Symphony Orchestra, National Cathedral, and the DC Recreation department. This group also tours New York, West Virginia, and the Dominican Republic, where the troupe performs with Alicia Alonso. In 1961, The Washington Ballet premieres Mary Day’s The Nutcracker with the National Symphony Orchestra in DAR Constitution Hall and starts a long-running tradition of delighting audiences during the holidays. Mary Day observes the teaching methods of the renowned Russian Academy of Ballet on a 1961 visit to the Soviet Union as part of the United States Department Leaders and Specialists Program. Inspired by her travels, Miss Day establishes The Academy of The Washington Ballet, combining dance and academics from 1962 to 1977. Although the academic section of the School closed in 1977, the dance training continues to this day. For the 1972 International Ballet Competition in Varna, Bulgaria, Miss Day decides to take one of her students, Kevin McKenzie, and he wins the silver medal. Mr. McKenzie is now the artistic director of American Ballet Theatre. In 1976, Mary Day starts The Washington Ballet, providing a showcase for the budding young talents of The Washington School of Ballet. 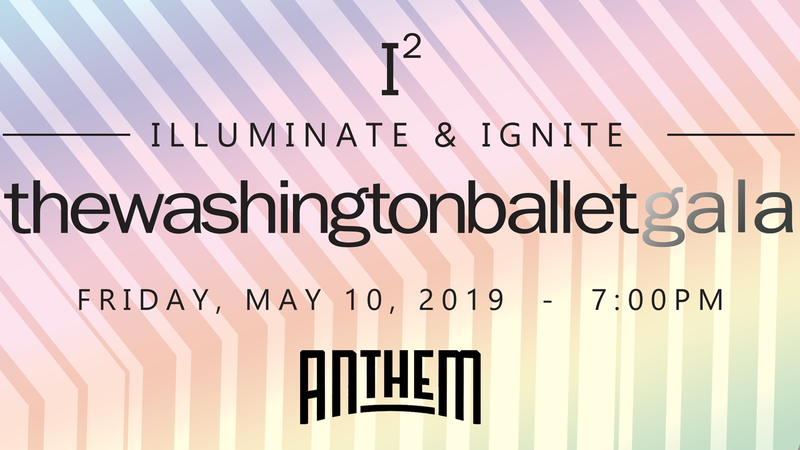 The first season consists of three works by an up-and-coming dancer/choreographer from Dutch National Ballet, Choo San Goh, who becomes resident choreographer and later associate artistic director of The Washington Ballet. During his time at The Washington Ballet until his death in 1987, Mr. Goh choreographs 19 ballets for the company. In 1980, 17-year-old company member Amanda McKerrow is chosen as one of nine dancers to compete on the official US dance team at the Fourth International Ballet Competition in Moscow. She is partnered by Simon Dow and wins the gold medal, becoming the first American to win the competition. During the 1980s and 1990s, The Washington Ballet continues to grow, performing full seasons in Washington, DC and touring internationally to China, Japan, Malaysia, Singapore, Russia, Spain, South America and more. In 1999, Septime Webre joins The Washington Ballet as the Artistic Director and steers the Company towards new opportunities, expanding the repertoire and broadening the Company’s scope. Mr. Webre initiates DanceDC, The Washington Ballet’s partnership with the DC Public School system, providing community engagement and education incorporating dance and arts education. In 2000, Mr. Webre leads The Washington Ballet on an historic tour of Havana, Cuba, making it the first American ballet company to perform in Cuba since 1960. Ms. Day announces her retirement as head of the school in 2003 and in August 2004, Rebecca Wright, former soloist with the Joffrey Ballet and American Ballet Theatre, becomes the Director of The Washington School of Ballet and serves until her untimely death in January 2006. In 2004, The Washington Ballet premieres Septime Webre’s new production of The Nutcracker, set in historic Washington, DC, to much acclaim. In 2005, The Washington Ballet and The Washington School of Ballet partner with Building Bridges Across the River and THEARC, a joint-use facility that delivers first-rate programs and services of culture, health, recreation and human development organizations to residents east of the Anacostia River. 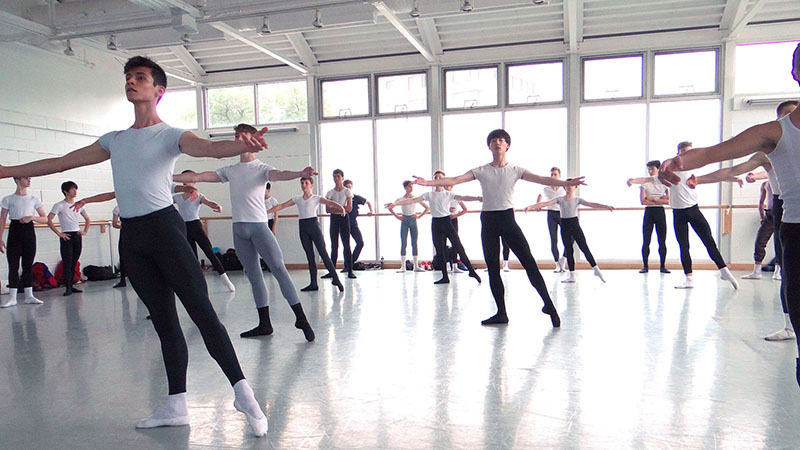 The Washington School of Ballet starts its first programming there in the Summer of 2005. In 2006, Mary Day passes away in July, leaving a large and meaningful legacy on the institution and the dance world at large. In 2007, Kee Juan Han is appointed Director of The Washington School of Ballet, ushering in a new era of energy and excitement to the training program of The Washington School of Ballet. In 2010, The Washington Ballet premieres Septime Webre’s The Great Gatsby continuing the tradition of re-staging great works. In 2011, The Washington Ballet tours to Turkey to participate in the 9th International Bodrum Ballet Festival. In 2012, The Washington Ballet premieres Septime Webre’s ALICE (in wonderland). 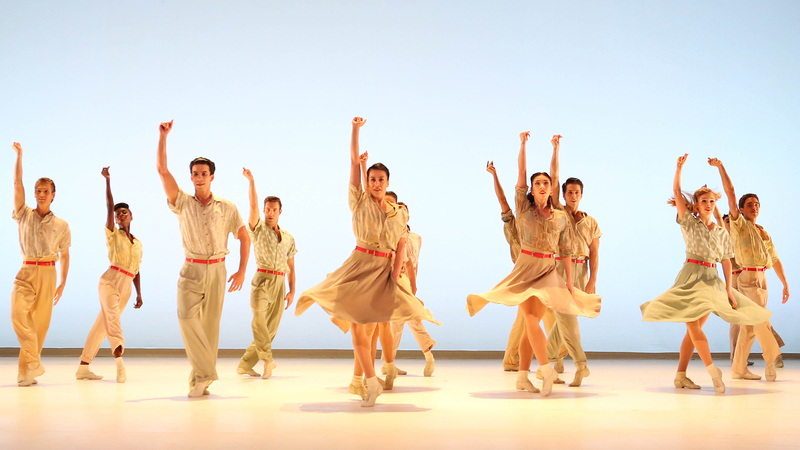 In 2013, The Washington Ballet premieres Septime Webre’s Hemingway: The Sun Also Rises as part of The Washington Ballet’s “The American Experience” series, a multi-year initiative to produce a series of ballets based on iconic American literature, art and music to further develop the Company’s uniquely American choreographic voice. In 2014, Company Dancer Tamás Krizsa choreographs and performs a world premiere of Together Apart to sold-out Tour-de-Force audiences. The Washington Ballet celebrates 10 years of Septime Webre’s The Nutcracker. It also showcases modern ballet choreographers like Christopher Wheeldon, Hans van Manen, Annabelle Lopez Ochoa, Trey McIntyre, Jiří Kylián, Christopher Bruce, Edwaard Liang, Choo San Goh, and Elaine Kudo in its variety of productions. In 2015, The Washington Ballet performed Swan Lake for the first time in the organization’s 70-year history. An historic Odette/Odile and Siegfried casting of Misty Copeland, a visiting guest artist from American Ballet Theatre, and TWB’s Brooklyn Mack marked the first African-American pairing of these featured roles in this full-length ballet. Audiences experienced the third installation of The Washington Ballet’s ongoing “The American Experience” series with the world premiere of Septime Webre’s Sleepy Hollow based on Washington Irving’s The Legend of Sleepy Hollow (1820), America’s first great ghost story. In 2016, Julie Kent was appointed to the position of artistic director with a vision to expand and broaden Company repertoire and expand TWB reach within the community to lead TWB into a more prominent position both within and beyond the Nation’s capital. Also, Victor Barbee was appointed as associate artistic director; Xiomara Reyes was appointed as Head of School.